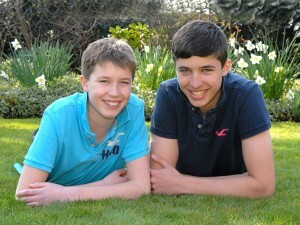 I am a student at King Edward VI school Southampton and live in Botley, Hampshire. I am currently 6’3″ tall but growing all the time! I have been rowing since I was 9 on a Concept2 rowing machine. We noticed that the times I was doing the machine were quite good compared to some others posted on the Concept2 website so in November 2007 I went to the British Indoor Rowing Championships and managed to win a silver medal in the J10 category, rowing 501m in 2 minutes. Shortly afterwards I decided I wanted to learn to row properly (on water) and so I joined Canford Crocodiles where Ian Dryden taught me and coached me for about one and a half years. In 2009 I moved to Coalporters Amateur Rowing Club in Southampton where I have continued to develop my rowing skills and have taken part in many competitions, local, regional and even national. I race mostly in a single scull, but have also raced in a double scull, a quad and as part of a four team. 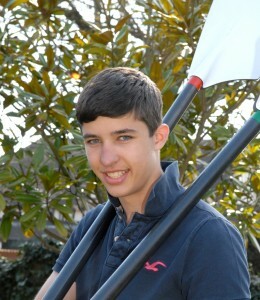 In September 2011, I won my J14 single sculls event at the South Coast Championships which took place at Eton’s Dorney Lake; the 2012 Olympic rowing venue. I had the honour of being presented with my medal by Sir Steve Redgrave. In April this year, I went to Nottingham, for the Junior Inter-Regional Regatta, where the best from each region come to compete. I was again racing in a single scull and managed to finish 6th overall. I train three times every week with my club Coalporters in Southampton and another three times at home totalling six days a week of training with Friday as my rest day. I started long distance training in October 2011. I do one long-distance ergo every week which is a distance of up to 40km! I use a Concept2 Ergo to row these while watching movies in my home gym. This gives me the stamina training required to achieve such a distance. In addition to the above I am being coached for the Channel crossing by Mike Gilbert of Langstone Adventure Rowing and he supervises my training for the channel crossing. His advice so far has been invaluable both in respect of endurance nutrition and longer periods out on the water with him following me around the Solent in his rib and coaching me in open water skills. Why Row the English Channel? I had the idea for this attempt three years ago because in August 2008, my brother Ollie was diagnosed with Acute Myeloid Leukaemia. 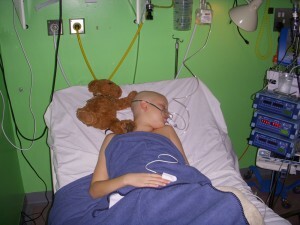 During his five-and-a-half months in hospital, the Make-A-Wish Foundation offered him a wish which really helped keep him going whilst fighting the disease. Thankfully, he is cured but I know personally two other people who have received a Wish. One who had cancer and is sadly no longer with us and one who is permanently seriously disabled. Make-A-Wish Foundation® UK grants magical wishes to children and young people fighting life-threatening conditions. 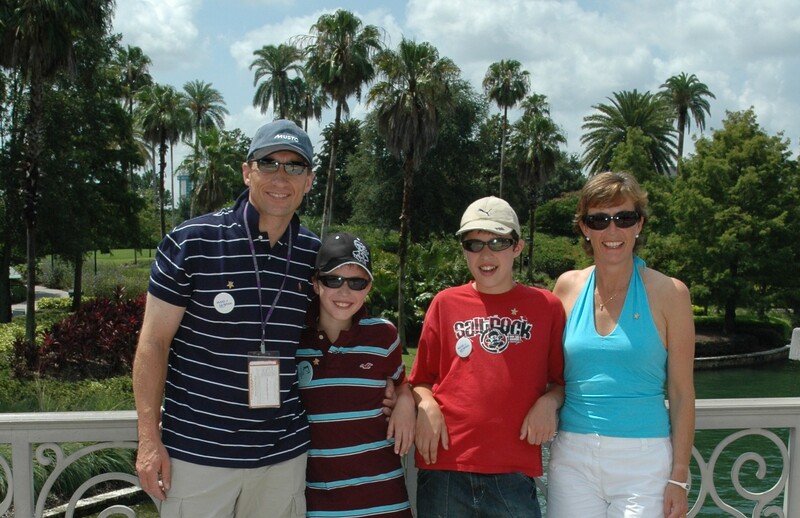 Since being established in the UK in 1986, they have granted over 7,300 wishes. 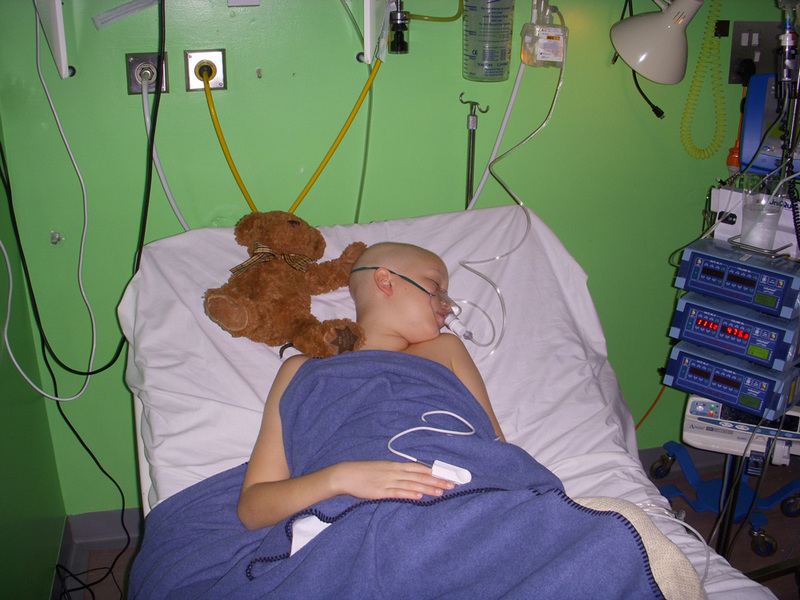 There are 20,000 children and young people living in the UK with a life-threatening condition. This year alone, 1,400 children will turn to them to have their special wish granted. I know from personal experience that wishes transform lives! Make-A-Wish needs to raise £6.8m in 2012 to achieve this, and I intend to raise as much money as I can to contribute towards this enormous figure. Please help me to do this in whatever way you can…donations of any size are very much appreciated and I thank you for your support.